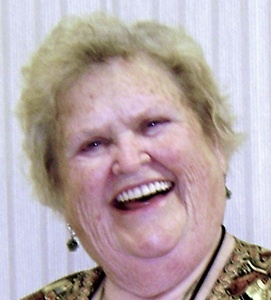 Peggy P. Deaton, 81, of Gardner, KS, passed away on August 29, 2016 at her home. She was born on October 31, 1934 in Bristow, OK.
Peggy enjoyed working for Towner Furry and caring for alzheimer’s patients as a home healthcare nurse for many years before retiring. On March 23, 1957, she married Harold Keith Deaton and they made their home in Olathe, KS. She was a member of the Commission on Aging, the Athena Club and other various community organizations and educational committees. Peggy is survived by her loving husband, Harold Keith Deaton, sons, Nevin Deaton and Jason Deaton, daughter-in-law, Deanna, and grandchildren Daniel and Marie. She was preceded in death by her parents, Anna Barnes and Clarence Dunlap. Memorial services will be held on Saturday, September 10, 2016, at 2:00 pm at Penwell-Gabel Olathe Chapel, where the family will receive friends an hour prior to the service. In lieu of flowers, memorials are suggested to the American Heart Association.